I've said it before and i'll say it again.. Shoes are my weakness. It's my birthday in a couple of weeks and me being me, I feel I ought to treat my self to a new pair. Of course I don't need a new pair, I just want a new pair, which is seems perfectly reasonable to me. With the weather getting suitably warmer, I can't help but admire all the sandals. I tend to lean towards similar styles, such as chunky straps, low heels or mules. Timeless pieces that will take me through summer and onto the next.. Though we all know, I will still be buying more shoes. A girl can never have to many.. Right? Great wishlist dear! So perfect for summer! 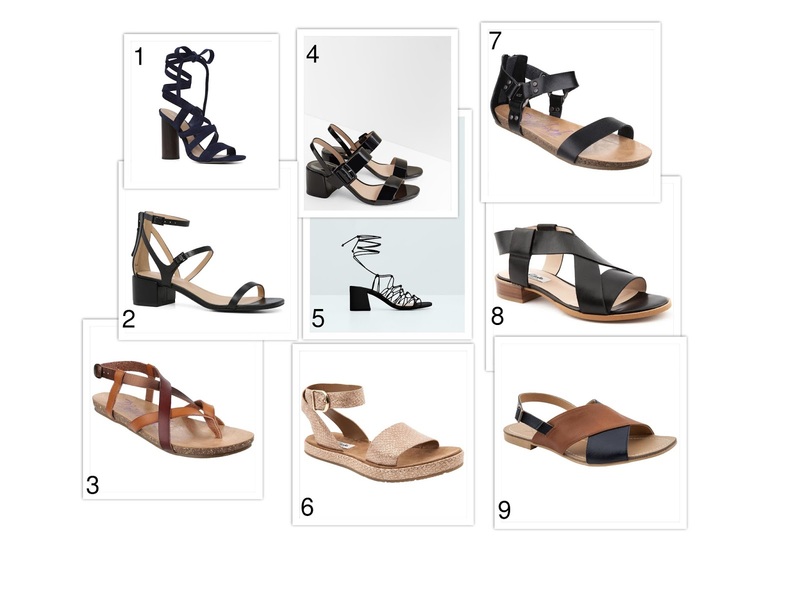 Awesome wishlist and choice of sandals! Thanks for sharing! loving these! I am obsessed with anything lace up :p great picks! I love the second part of shoes in the second section! But all of those shoes are cool! Nice style and love your blog! I love the black lace up sandals #5 in the second group, it reminds me so much of Chloe! Great list! I want to get some platform sandals! I love these picks! I'm such a sucker for block heeled sandals, and you've got so many here! I have just done s very similar post, we all need a range of new shoes for summer right? So many killer summer shoes- love this list! I love #1 in both the first and second set. So nice and no a girl can never have enough shoes. I agree, love all your picks. Happy Birthday in advance Vanessa! I'd say you should def-init-ely treat yourself to a pair or five of new shoes ;) You've selected some gorgeous heels, particularly the block-heeled sandal options. they are mine too! love your selection! So many beautiful models to choose from! I'm actually really boring with shoes, I really struggle with finding a good, comfy pair! I feel like this is something you would be fab at! I was a checkout-away from buying shoes yesterday! I don't need another pair but the temptation is so strong! I love the shoes!! i love your selection :) great picks dear !! Pretty selection! I like Nr. 1 and 5 form the second collage. My birthday is also at the end of the month. Happy birthday in advance!